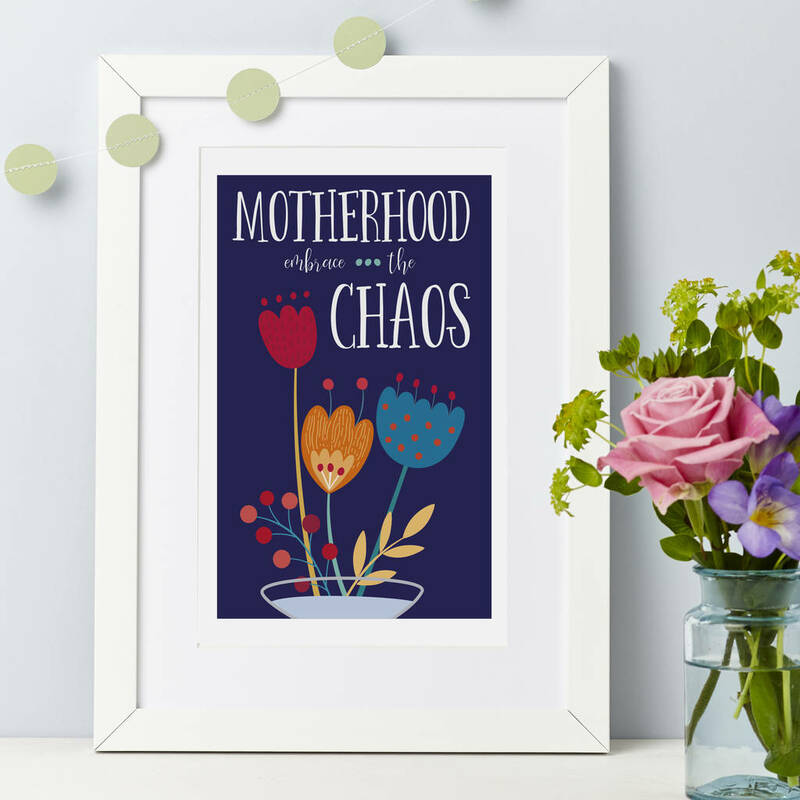 Fabulous and unique colourful celebratory Mum print - ideal for Mother's Day! Available as a mounted or framed print. Archival pigment inks create a stunning bold colourful print that are fade resistant so the print will last for years - we use archival photographic papers that absorb the inks for a clear and crisp print finish. A4 print. 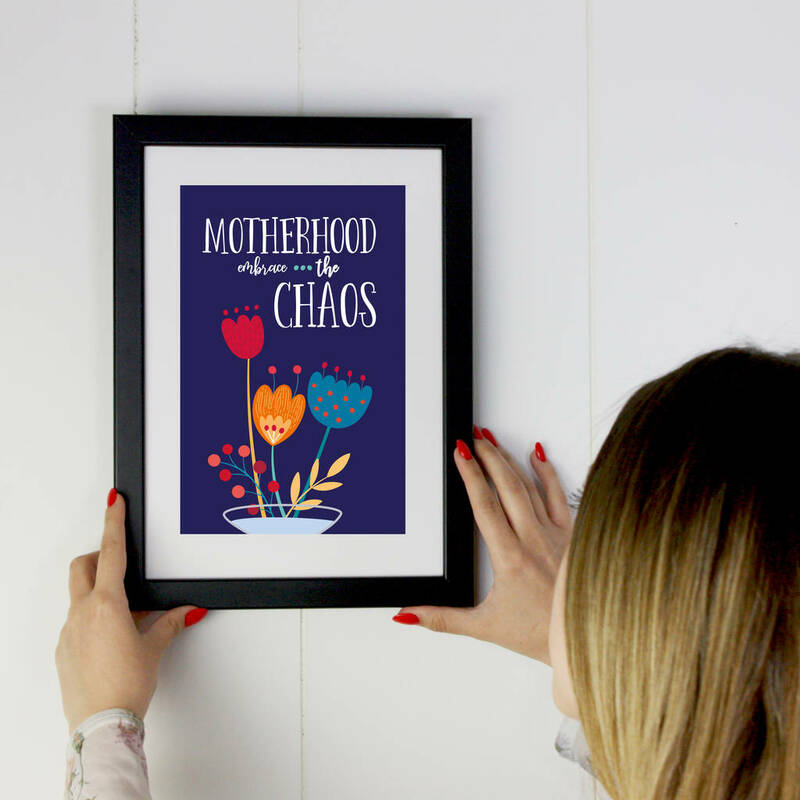 Text reads ‘Motherhood - Embrace the Chaos’ in a handwritten style font of caps and script styles. 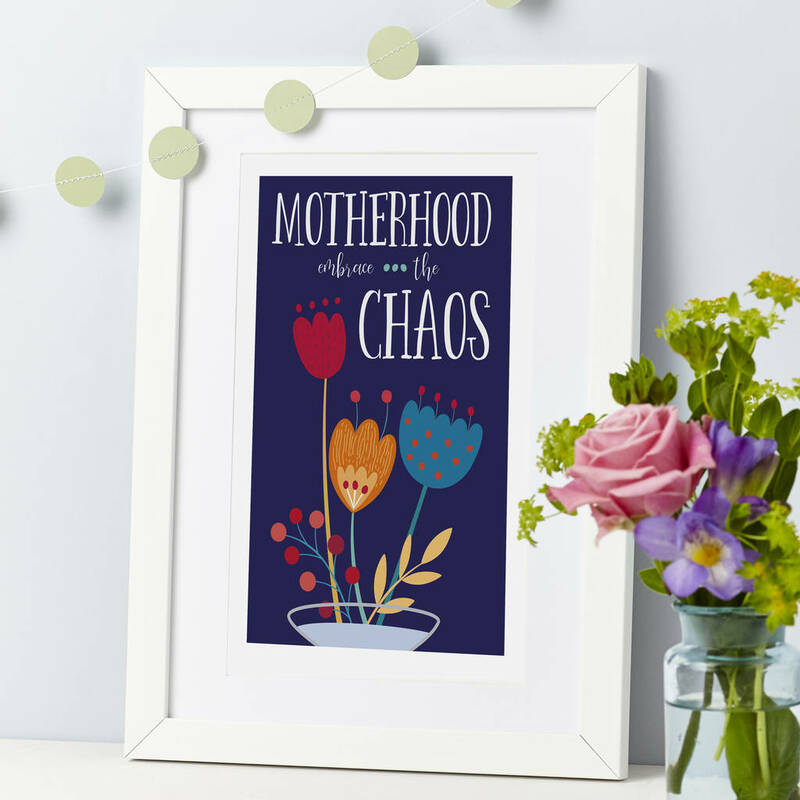 Brilliant as a new mum gift or as a pregnancy or baby shower present.